Great electric kettle ! 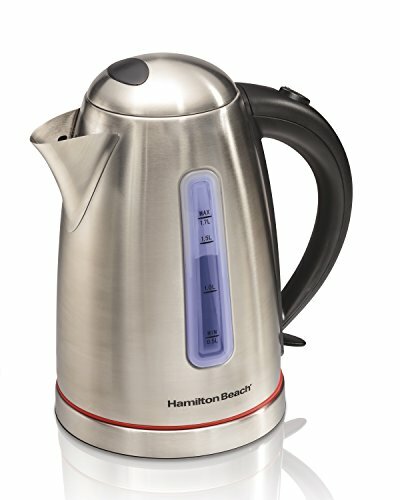 This is a well thought-out and well made electric kettle. We melted a stove-top kettle so I was going to buy a new one. I’m so glad we got this electric one instead. Sooner or later we would have let a stove top kettle run dry again, ruining the kettle and perhaps the stove top. This electric one is very quick to heat, and safety features shut it off if there’s no water inside. It’s easy to use and a great price.